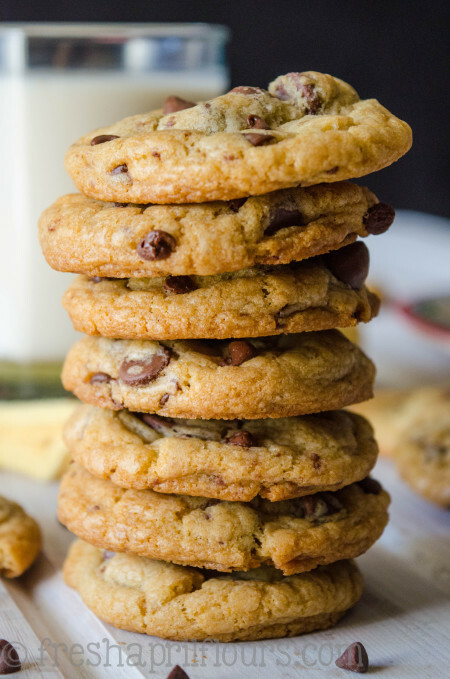 What type of cookie is your favorite? 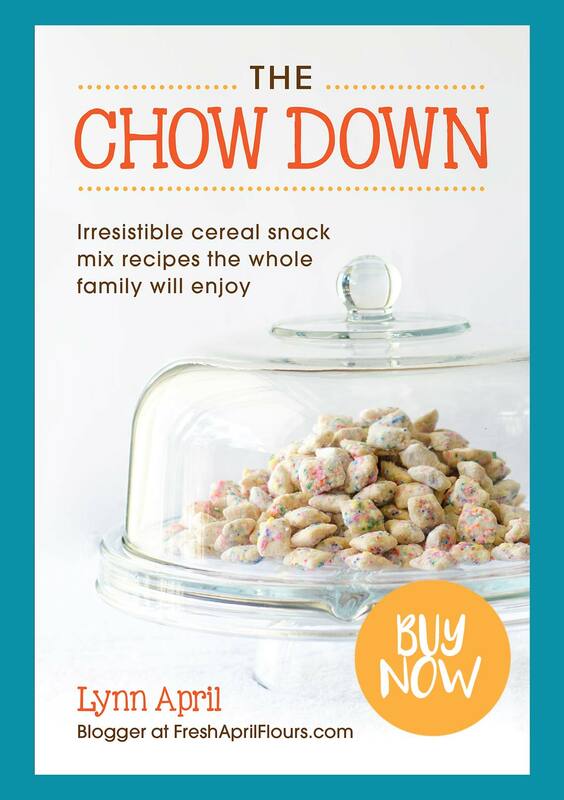 Are you strictly in the chewy camp? Strictly in the crunchy camp? Or do you pitch your tent somewhere in the middle? Or maybe you’ve never thought about this and are all “C is for Cookie,” just give it to me, cookie monster style? No judgment here, promise. I’m somewhere in the middle of the camps, venturing over to steal my favorite parts of each camp and putting them all together to make the place in my tent just perfect. Equal Opportunity Cookie Camp. That’s what my place is called. Welcome! So here’s what I mean when I say I have favorite parts of both: I really like the edges of my cookies to have a bit of a crunch. 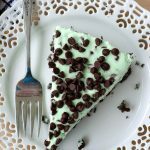 I enjoy a hearty edge (brownie edge lover right here!) that I can sink my teeth into but that doesn’t require a dunk in milk. If it gets dunked in milk, totallyyyy ok with me, I just don’t want my cookie to come with a prerequisite of a dunk. 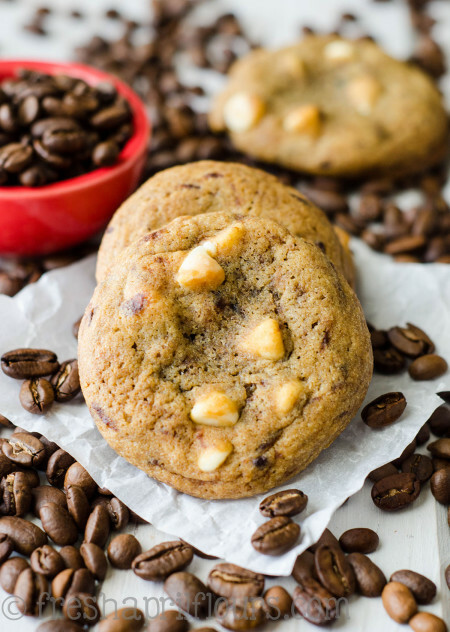 When it comes to the middle of my cookie, I like it to be soft and slightly chewy, and my favorite kind of cookie center is the kind that sort of melts in my mouth after my teeth have gracefully glided through the crumbs. I am so passionate about my cookies here in Equal Opportunity Cookie Camp. 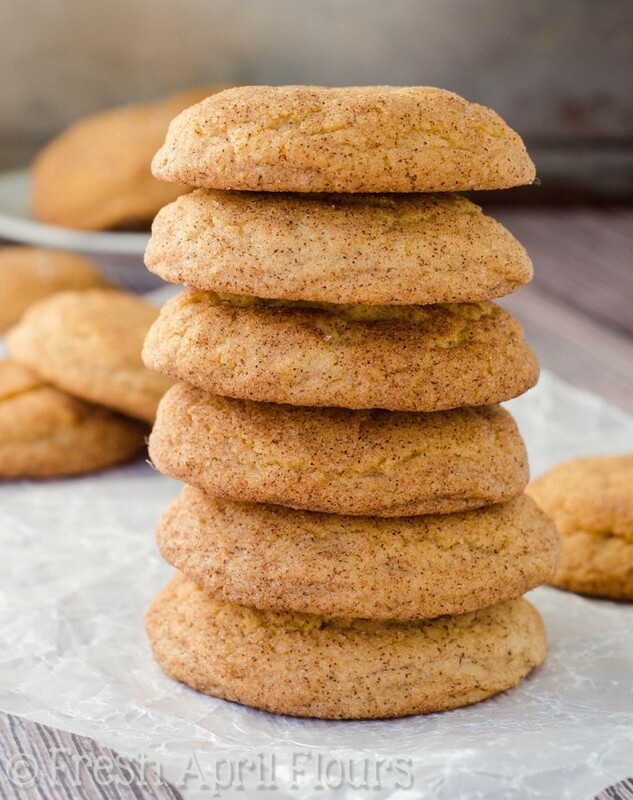 These cookies, these right here classic snickerdoodles, are just that. The perfect marriage of textures with a crisp exterior that leads to this center that is just… Oh my gosh… I don’t even know how to describe to you how great it is. Matt and I were chatting in detail about these cookies (totally normal) and decided that they are “deceivingly chewy cookies.” When I picked up my completely cooled snickerdoodles, I was really bummed that the entire outside felt crunchy. Too crunchy, in fact. But I gave one a good bite anyway and was pleasantly surprised that it just absolutely melted in my mouth. I was blown away! I handed my cookie to Matt and told him to take a bite. He bit into it, gave me an inquisitive look, and then his eyes brightened. I knew what that look meant– he had found himself in Equal Opportunity Cookie Camp. So let’s talk about how you, too, can get cookie magic via snickerdoodles. First, you’ll start with softened butter. 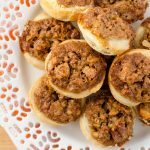 Some of my cookie recipes involve melted butter, which makes for a bit more dense cookie, but for these sugar-cinnamon lovelies, I wanted to keep things light. To the softened butter, you’ll add all granulated sugar. This is so unlike me! Typically, I find any excuse to add brown sugar to my baked goods (hello, moisture! ), but I wasn’t so concerned about the moisture in these cookies. 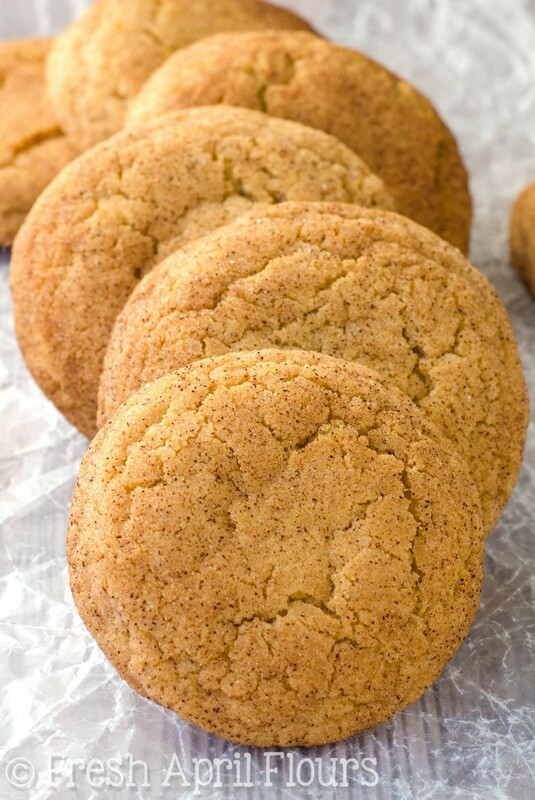 Plus, snickerdoodles are a sweet and tangy cookie (see next paragraph for explanation), so all granulated sugar will give you the straight up sweetness you need for these cookies. To make my snickerdoodles even more cinnamon-sugary, I add some cinnamon right to the cookie batter, rather than only adding it to the outside. I am a huuuuuge fan of cinnamon (a satellite camp of my Equal Opportunity Cookie Camp is Cinnamon Camp), so any way I can get it into my baked goods more often, I’m all about it. Once your cookie dough is together, you’ll need to chill it for at least an hour. If you don’t, you’re definitely going to have one big spready cookie mess. No good. Must. Chill. 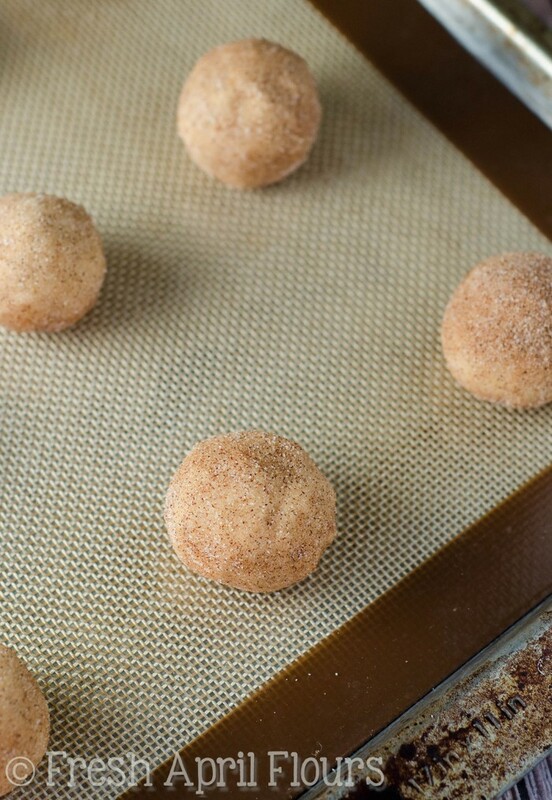 After the big chill, each cookie dough ball gets rolled in a nice little bath of cinnamon-sugar. This is totally a bath I wish I could take every morning. 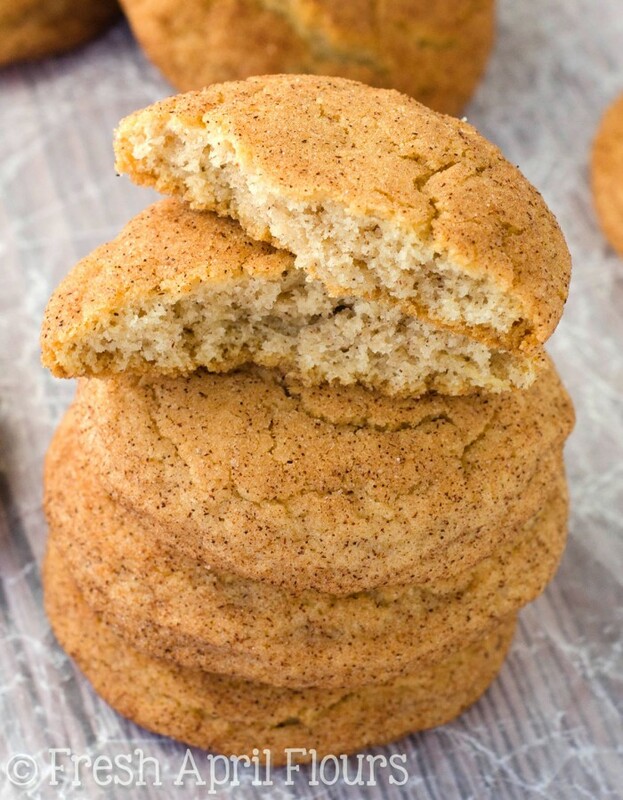 Tanginess + a cinnamon-sugar coating are two characteristics of snickerdoodles that make them stand out among the rest. Once these cookies come out of the oven, they’ll rest on the baking sheet for just a couple minutes so they can gain some strength before you cool them completely on a wire rack. 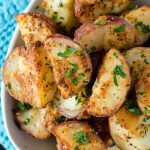 They will look incredibly underdone right out of the oven, and this is exactly what you want. 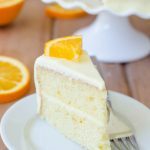 They will crisp up as they cool, locking in that magical, deceivingly soft middle. 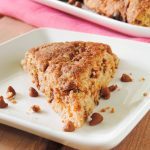 If you’re looking for a classic snickerdoodle that will please nearly everyone, this cookie is for you. If you’re looking for one that is strictly chewy, this isn’t it. If you’re looking for one that is strictly crunchy and goes right alongside a glass of milk, this isn’t your cookie either. 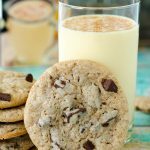 If you’re firmly planted in my camp and are open to many textures in your cookies, possibly a glass of milk but not necessarily in need of one, you’re going to love these snickerdoodles, FAF style. Cinnamon-sugar coated bites of tangy, buttery sweetness. I’m totally down. Wanna come to my camp?? 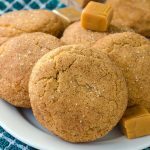 Crisp edges, melt-in-your-mouth centers, and all the cinnamon-sugar you could want from these classic cookies. In a medium bowl, toss together the flour, cream of tartar, cinnamon, baking soda, and salt. Set aside. 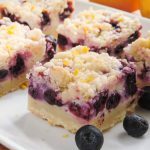 In a large bowl with a handheld mixer or the bowl of a stand mixer fitted with the paddle attachment, cream the butter and sugar together on medium speed until light and fluffy (approximately 2-3 minutes). Add the egg and vanilla and beat again until completely incorporated. Reduce mixer speed to low and add the flour mixture in three parts. When all of the flour mixture has been added, beat on medium-high speed until dough is completely combined. Chill in the refrigerator at least 1 hour or up to 3 days. If chilling longer than 1 hour, allow to sit at room temperature for 10-15 minutes before moving on with the recipe. When you are ready to bake the cookies, preheat the oven to 400ºF. 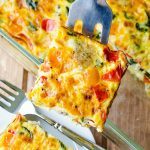 Line a large baking sheet with parchment or a silicone baking mat and set aside. Toss together the granulated sugar and ground cinnamon for the cookie dough coating in a small bowl and set aside. 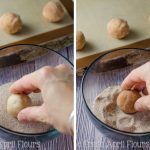 Using a cookie scoop, roll dough into 1" balls. 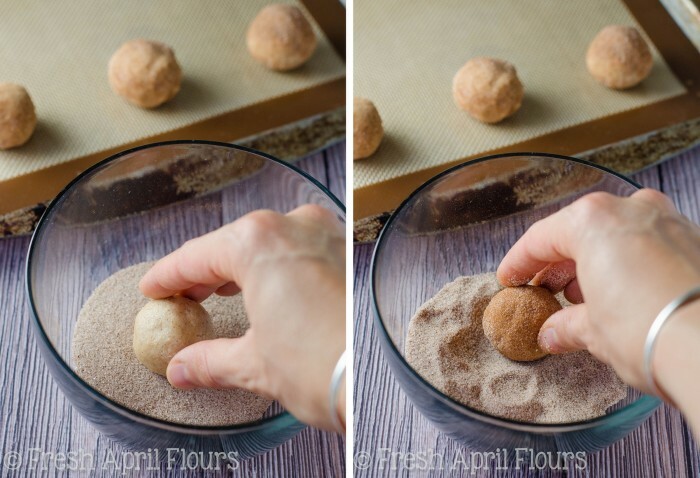 Drop each ball into the cinnamon-sugar coating and roll around to coat completely. Place on baking sheet, no more than 12 per sheet (3 across the short side and 4 along the long side). 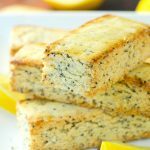 Bake for 9-11 minutes, or until edges just turn slightly brown. Remove from oven and allow to rest on baking sheet for 2 minutes. Transfer to a wire rack to cool completely. 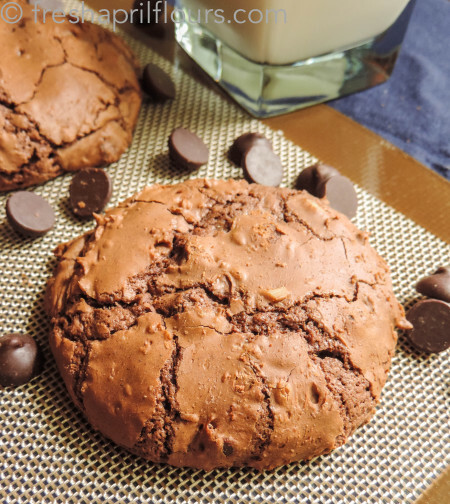 Cookies stay fresh stored in an airtight container at room temperature up to 7 days. Cookies freeze well, up to 2 months. Rolled cookie dough freezes well, up to 2 months. Thaw on baking sheet for 10 minutes, roll in cinnamon-sugar, and bake as directed. 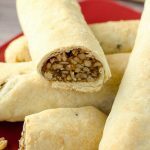 *Cream of tartar is preferable, but if you must make a substitution, replace with 1 teaspoon baking soda, bringing the total baking soda amount to 1 and 1/2 teaspoons per one batch of cookies. More equal opportunity cookies for ya! 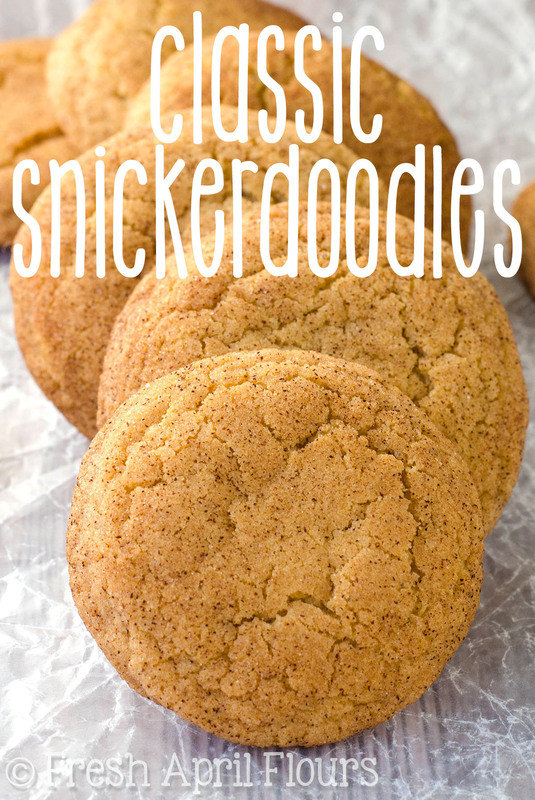 Snickerdoodles are most definitely my #2 favorite classic cookie (right behind a chewy oatmeal raisin!) and I am absolutely drooling over here! Lynn these look absolutely PERFECT!!! Totally with you on the extra cinnamon – I sneak it into e-v-e-r-y-t-h-i-n-g! Annnnd can we figure out to make daily cinnamon sugar baths a “thing”?!?!? hahaha. They’re my #2 favorite classic TOO!! Once I get rolling on the Christmas cookie posts, I wonder if we will have the same fav of those as well… Hmm… My tastebud twin!! 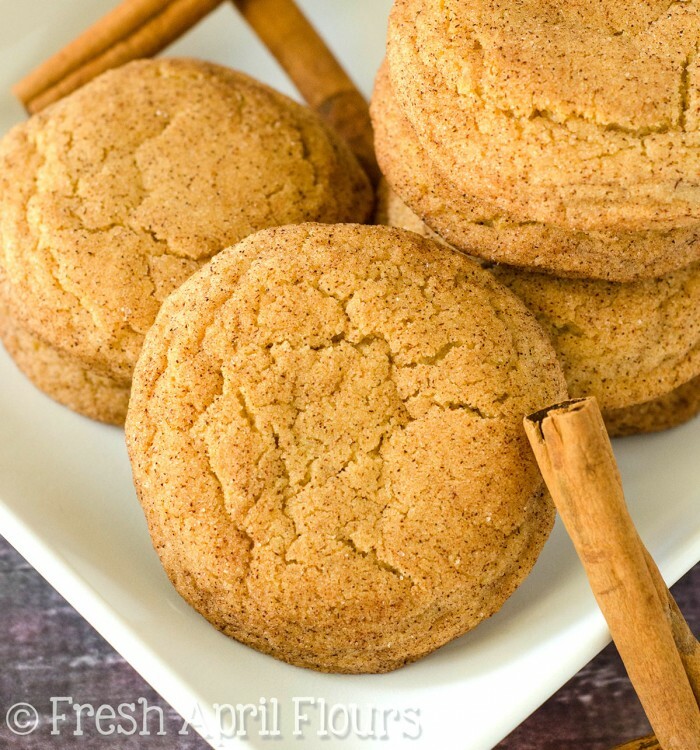 Your snickerdoodle cookies are perfect! Perfectly round and that cinnamon sugar topping has me weak at the knees. Your photos are excellent too! 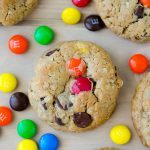 We are definitely chewy cookie people, but we find it hard to discriminate against any cookies come snack time at the office! 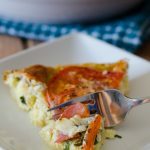 Can’t wait to make a batch of these soon; why do you prefer using the cream of tartar for this recipe? Felicia, cream of tartar really imparts the “tang” necessary for the true taste of snickerdoodles. If you left it out, the cookie would no doubt still be fantastic, but that slight change gives the flavor a whole new profile. I’m all about that cookie, ’bout that cookie. 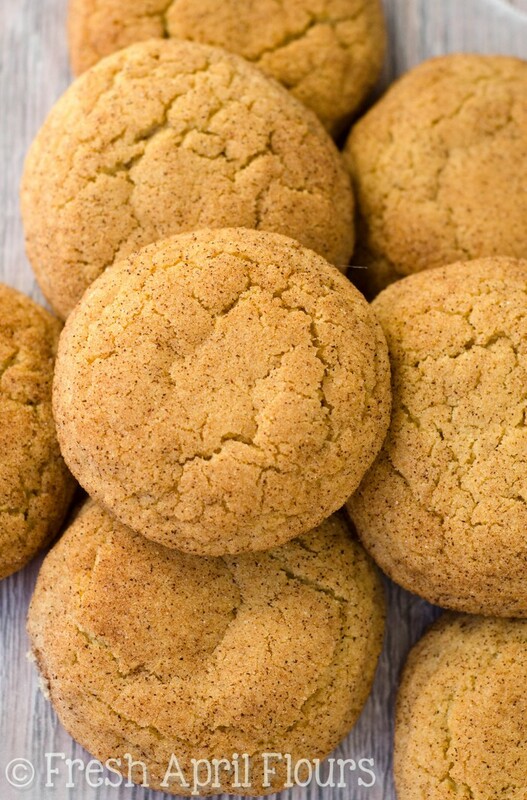 Snickerdoodles do hold a special place in my heart though and they are the perfect for everyone cookie. Except people who don’t like cinnamon. I don’t associate with those people myself…. 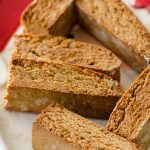 I can’t wait to try out your recipe, and keep an eye out for a snickerdoodley (totally a word) treat that I baked up last week coming soon too 🙂 Great minds think alike! Snickerdoodley is TOTALLY a word! Hmm, what could it be?? Is it another cupcake?! I’m excited, because snickerdoodle is one of those flavors that can really go in any dessert and make it awesome. 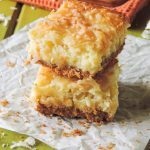 What is it about cinnamon+sugar? It’s just like chocolate+pb, but, dare I say… BETTER?! Can’t wait to see what you have up your snickerdoodle sleeves! I made these over the weekend for part my Mother In-Laws birthday present and of course during quality control testing we might have had a few, they were awesome, and so easy to make. I made the dough the night before so I could give her fresh baked cookies. It makes me wonder why I have never made them before. (probably because chocolate chip and oatmeal cookies always steal my heart and stomach 1st!) Thank you.